The Natural Hair Experience You Didn’t Know You Needed — EveryStylishGirl. 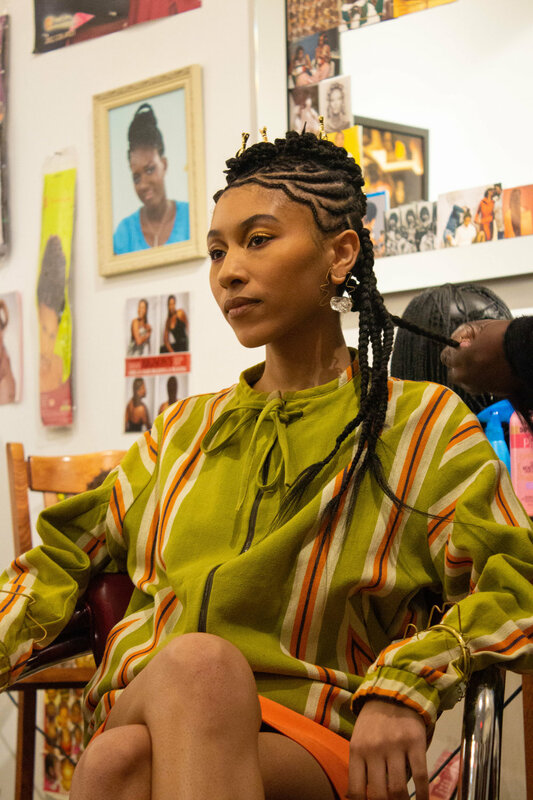 Creative and visionary, Josef Adamu, brings to life the experience we all vividly remember on Sunday nights getting our hair braided for the week. 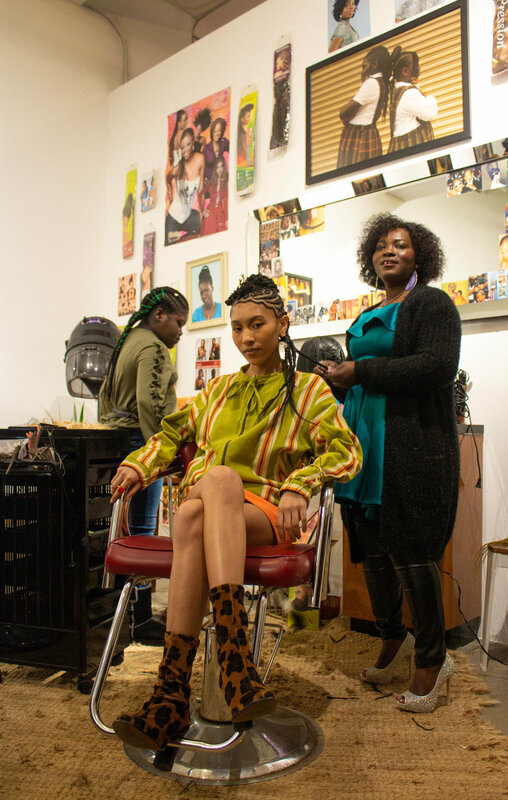 His latest project “The Hair Appointment,” is a photo series and recently live installment showcasing Black hairstyling at the Okay Africa space in Brooklyn, NY. 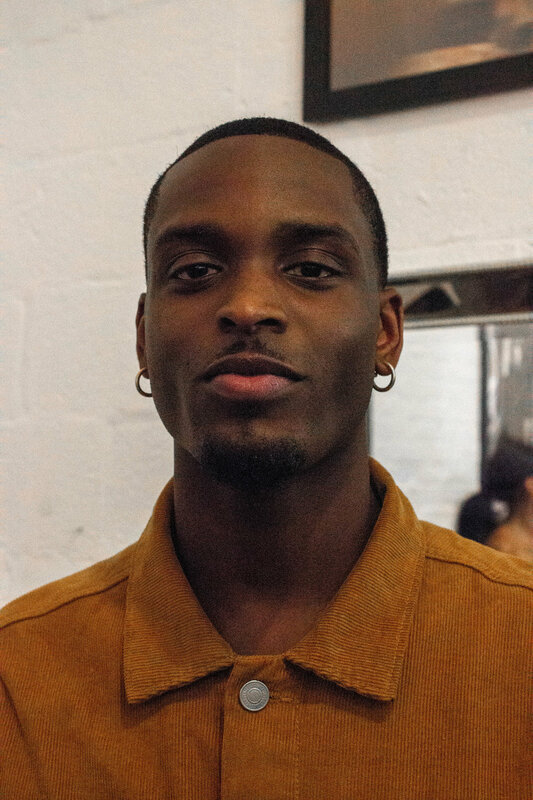 Through Adamu’s intentional creative direction, he immersed audiences in the beauty of natural hair and highlighted the essence of natural hair as a lifestyle and intricate experience. 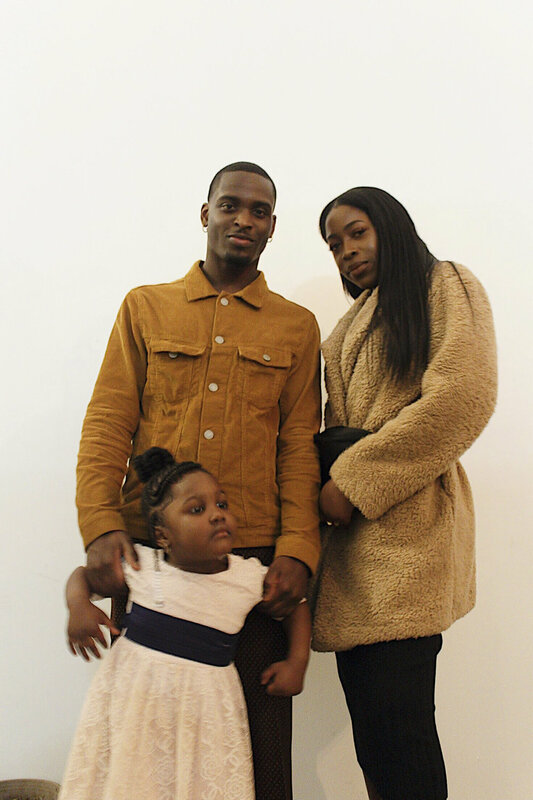 ESG caught up with Adamu over the phone to hear more about his intentions and mindset going into a women’s world of hair braiding. What inspired the hair appointment? Past experience, things I’ve grown up on and being a child of these environments, seeing my mom and sister getting their hair done in a more intimate environment like my home and the hair salon. I collected all of these memories and put them on paper and said I think we can really make something beautiful with it. I wanted to celebrate this experience from a perspective of it being something that is unique to us as a community. 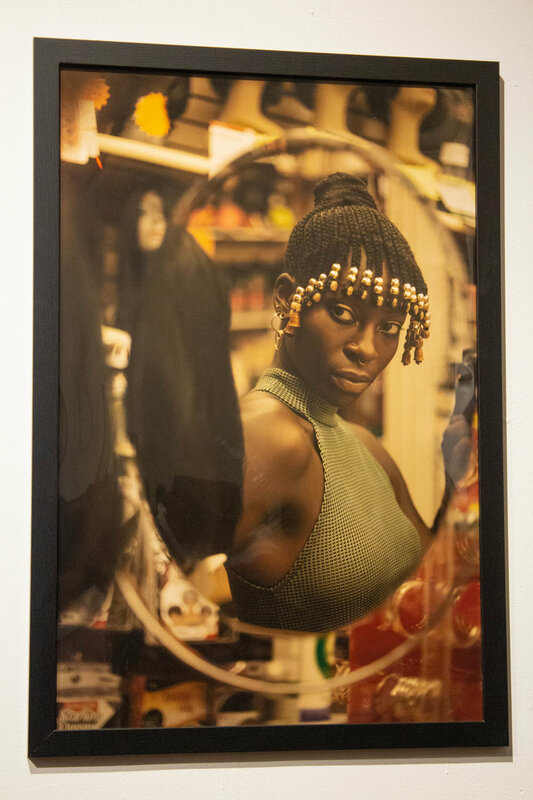 What about women of color and beauty was important for you to highlight through this project? It goes without saying, in the media nowadays, it is something that’s overlooked. It’s something that is exploited and taken by other groups of people and used to their advantage. There are moments in media where groups of our identity can be taken and used in pop culture, which isn’t necessarily right. With projects like “The Hair Appointment,” it’s almost like okay, this is happening, but let’s focus on the beauty without focusing on other people or pop culture. Let’s focus on the fact that this is where we started (cornrows, hair braiding, etc) and that this is something that stems from our identity. Let’s celebrate that. I felt that this needed to be done because it’s a beautiful thing that I don’t see much of. This is what we do at Sunday School, we take projects that are overlooked or necessarily spoken about or touched on, and make something beautiful out of it. Why did you want to integrate young Black girls within this project? I use children at the forefront of the project because that is where it all starts. It all starts when you’re young, in your mom’s lap on Sunday nights getting your hair done for school. 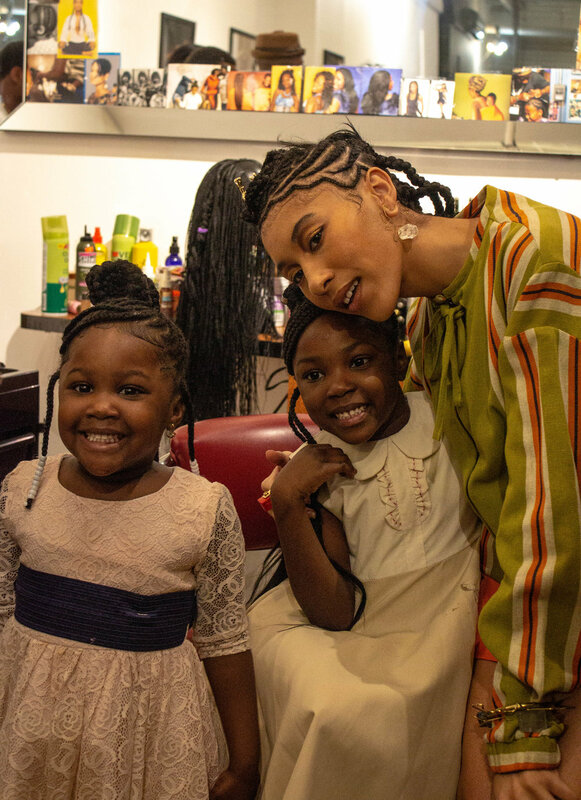 Using the kids in my project was a way to showcase that although hair braiding is the root of our identity, these kids really represent what it is to start out with that. It was also important for me to include them in our show too, to make sure people understood that this is an ongoing thing. What about hair braiding in particular led you to the creation of this project? First and foremost, I want people to know that you should feel comfortable in your skin. 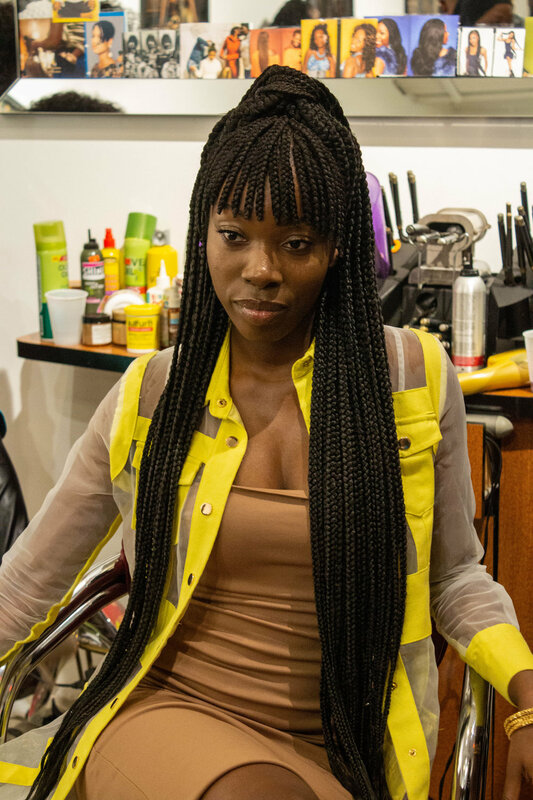 Hair braiding is a natural hairstyle and it’s you taking the hair you already have and playing with it. All the way from the details with the beads, jewelry in the hair, and the make up we put together, we really created something that surpassed getting your hair done at any salon. I think it’s just important for me to showcase natural hair and how beautiful it can be at its peak, but also, what’s it’s like having a really good hairstylist who is really driven by detail. What fuels your vision as a creative? Just knowing that I can achieve the end result. I have a plan where I lay everything out and have an idea of where I want to go with it. I’m so determined to get to that point where I can say I did it, I made an impact, or I’m influencing someone. Knowing that I can achieve something like the show I just did, it really touches me knowing that something good is coming from it. It’s knowing that the end results are steps away, that I’m almost there, and just to keep going. What is one message you wish all Black women would take away on this current standard of beauty? You have all you need and you look great even if you don’t think you do. The media is there to push a certain agenda, but it is your job to take what you know you have and make the best of it. There’s really no need to feel you have to go over the top to be beautiful or attract to a certain guy. It’s a matter of believing that you have it and being confident. Did I think the Hair Appointment would be this big? No. But I am definitely encouraged with where it’s gone and I’m excited to see where it’s going to go. To learn more about his work, be sure to visit: www.ssunday.co.